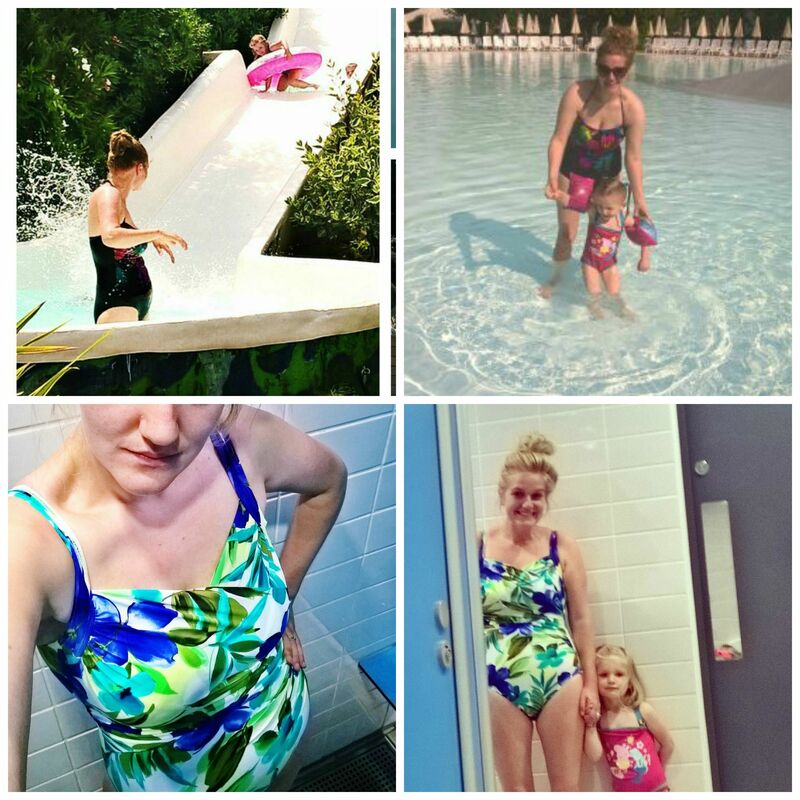 Miraclesuit Swimwear Review – Goodbye Baby Bulge! I was recently sent a Miraclesuit swimming costume to try out and review (uses unique fabric Miratex and extra life Lycra to keep you firmly in control and looking good apparently) and have been waiting for our annual “get the wetsuits on and go cliff jumping/beach day trip” to really put it through its paces. However as you are more than aware the weather here in the UK has been absolutely PANTS and so the plug was pulled on that one and a trip to the local pool yesterday sufficed. I have never been an all in one swimsuit kinda girl. I am an average 12 (US 8 – always loved that) and have found all in ones to never fit right. They rarely keep me up and in and generally make me look rough! I also choose to dress modestly and this runs over into my swimwear choices and so bikinis are out of the question too. 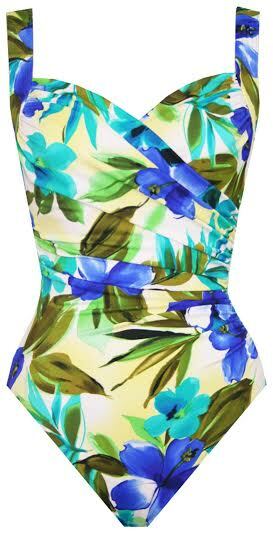 Then since having kids and the good old pooch/baby bulge it means that tankini’s and the risk of “overhang” is certainly out of the question and so other than a wetsuit I am left wondering how I can look a yummy mummy and beach babe – I know its a tough task! 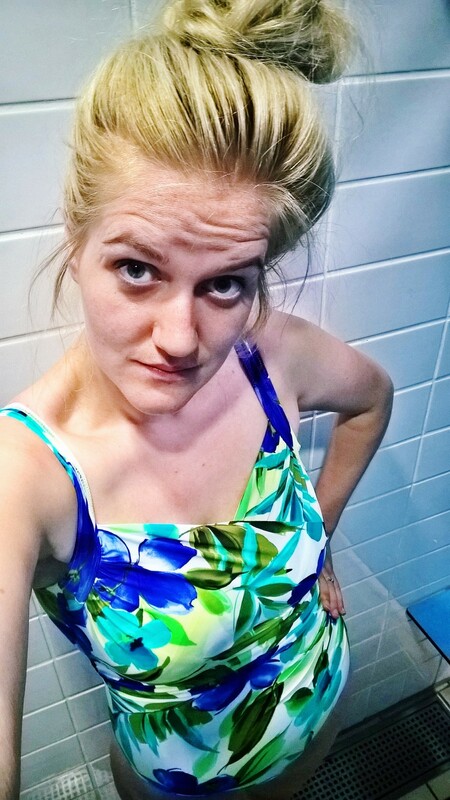 With all of these little requirements it has been hard to find something that is flattering, modest, comfortable and fun, and back in June it became a complete night mare to get something in time for going to Italy. In the end I settled for a black all in one from Asda, which I hoped the black hid stuff I wanted to hide and the ties made it suitable for sun bathing, however it wasn’t anywhere near as supportive as I would have hoped and I spent A LOT of time tugging and hoisting and being aware of my baby bulge! With this “Miraclesuit” swimsuit however, there was no tugging and hoisting. 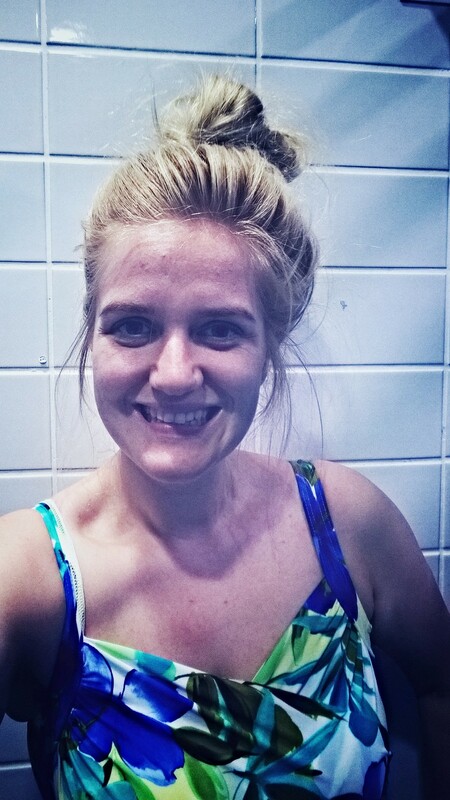 I put it on…got in the pool…went nuts with the kids and was contained and felt amazing, I haven’t lost any more than a couple of pounds since Italy but I looked to have less of a bulge and less rolls and loved how covered up I was too!!! Ill be honest, when I first saw this swimsuit I thought “Grandma” as the print is certainly more floral than what I would have naturally chosen, but looks can certainly be deceiving and Nath LOVES it and I actually grew fond of the vibrant colours as the morning went on (even if the pattern wouldn’t have been something I wouldn’t have gone for naturally) the bright blues and greens worked well against my hair and skin tones and I felt quite funky! Once on I was amazed that I actually looked a bit of a babe – I loved how supported I felt and how modest it was too – no cleavage, no high leg and enough back showing to feel confident and potential tan, (if, like I said we had been on the beach)! As an added bonus I have since seen a nice leopard print number they do and crazy “wave runner” id love too.. supported and animal print? I never thought it possible!! I know what I want to invest in for next summer. To which I would have to answer yes I was supported and no they were not on show. There was no indication of any type of muffin top and back fat was out of the question (which I am still trying to figure out how that one happened). And finally (my fave) you could NOT see my baby bulger…3 kids and my stomach for once in a very long time was flat! And best of all when I sat down.. NO FAT ROLLS! Miracle suit? YES…I’d say so. As I have already said I have my eye on a couple I would like to invest in for next summer and if yesterday was anything to go by they will be long lasting, comfortable and make me look the yummy mummy I hope to by the pool and on the beach! For now this one is amazing and will brighten these gloomy Autumn swimming sessions! 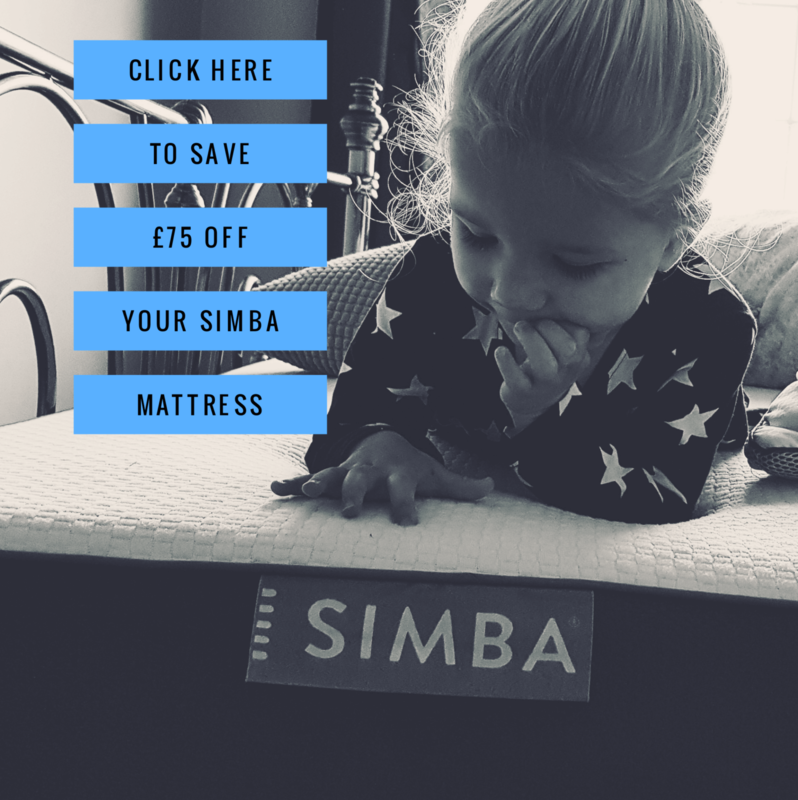 Check them out…there really is something for everyone of all ages.